I've seen other charts that reference data from the CDC, but I haven't found anything useful on their site, and they don't return emails. Only a small time slice, but you can get since 2000 for every country from FAO. 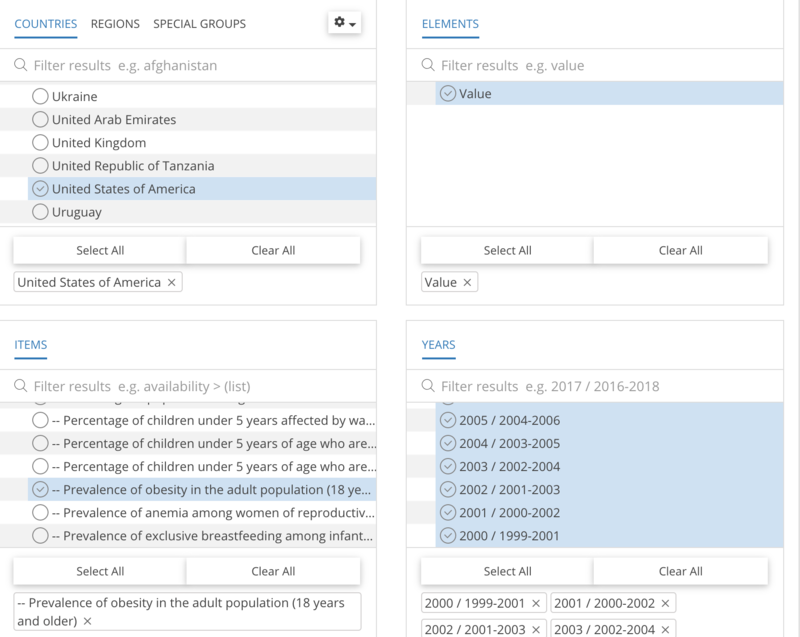 What makes Open Data tools specific to Open Data? Where can I find pre-1951 median wage information?